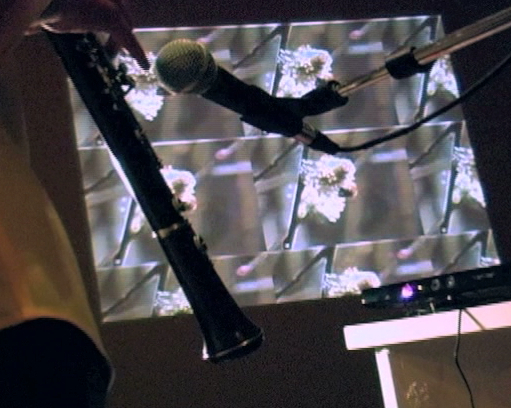 Sound reactive multimedia composition for oboe, antique clarinet, bees, laptop, microphone, midi pedal and projector. Video effects are controlled in real-time with volume and frequency. Original code was written in Max/Jitter, with live audio sampling using Ableton Live. Bees were recorded from my kitchen window in Nashville, TN.